Sexual exploitation and child abuse is being tackled from all angles with the opening of a new safeguarding hub in Warwick this month. The Multi-agency Safeguarding Hub (MASH) is now taking referrals for children and young people in need after opening on May 1. The centre, based at the county council’s Saltisford offices, aims to tackle exploitation and abuse with police, council, health and care services working together to ensure vulnerable people get the right care across the system. The primary focus will be on early engagement and providing support to potentially vulnerable children and their families. Services will be rolled out to include care for adults from September 1. John Coleman, hub manager, described it as the first step in an exciting future. He said: “I am certain that the MASH will be a vital resource in making sure, more than ever before, our most vulnerable residents are safe and protected from harm. The hub plan was questioned by Warwickshire county councillors when first approved as to how it would ensure no children or vulnerable adults were left to fall through gaps in care systems. But assurances were given that under one roof, agencies could work better together. 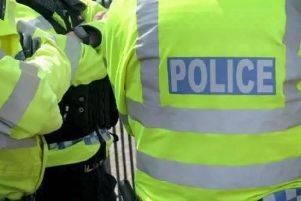 Detective Chief Constable Karen Manners from Warwickshire Police said that with a history of successful partnerships, the hub was set to take off. “The MASH moves safeguarding to a better level with agencies based in the same location, sharing information to enable more informed faster decision making to protect the most vulnerable in Warwickshire,” she said. Visit warwickshiremash.org.uk to find out more about services and care.